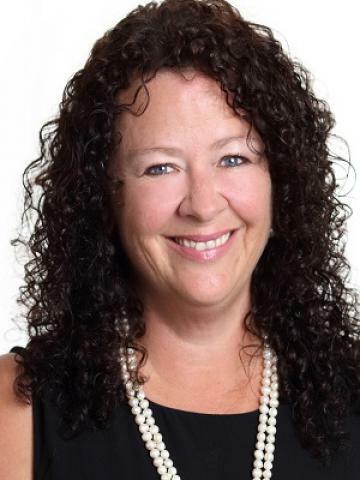 Toni Annetts has been working in the Real Estate Industry in the local area for the past 25 years, with experience in Property Management, Sales Administration, and Ownership of a real estate office - therefore ensuring she understands all aspects of transactions within the business. "I am proud to be an owner operator of Kevin Annetts Property and with my experience and myself being a Landlord, I understand all facets of Property Management, from the role of Tenant to the role of Landlord. For a Landlord to entrust me with the management of their property is the highest privilege I can have. I treat all properties as if they were my own, and conversely interact between Tenant and Landlord with great personal attention. I also would like to assure all Landlords that as an owner of the business I am not going anywhere, so I will always be available as a port of call for any queries." You will feel right at home in this fully equipped 3 bedroom waterfront apartment just a short walk to Mooloolaba Esplanade, and the fine dining and beaches we are famous for. Close proximity to all that the Sunshine Coast has to offer - meander your way down to Caloundra, passing kilometres of beautiful beaches or head north to the mecca that is Noosa Heads passing Mount Coolum, and the trendy Peregian Beach - then sit back, relax and wine and dine on your own private balcony overlooking the waterway in this quiet and small complex. All the mod-cons are provided to make your stay comfortable, including coffee maker, dine on your large private balcony overlooking the waterway. One block from the sought after Alexandra Headland beachfront, this renovated 2 bedroom, 2 bathroom apartment with a balcony plus private roof top area with views, is just what you've been looking for. With new carpet, fresh paint, fresh fans and new induction cook top in the kitchen an inspection will not disappoint. There is also a secure car park. Featuring a secure entry, balcony with ocean and natural fauna views, roof top area with views, extra balcony off the master bedroom, kitchen with brand new appliances, renovated bathroom, ensuite, balcony and walk in robe to the master. New carpet, paint, fixtures, fittings and fans throughout. The bonus is a large private roof top garden with ocean views, and a large storage area. An inspection will not disappoint. Available now. You will be delighted in the location that this unit offers. Situated opposite Alexandra Headland beach, the bluff and grassy area, you are also just a short walking distance over the hill to Mooloolaba with all its fine eateries and long stretch of beach. There is definitely room to move in this 3 bedroom, 2 bathroom apartment. All bedrooms are very generous in size being larger than normal, and the main bedroom also has its own large balcony. Ceiling fans throughout the apartment will keep you cool through summer. A clever renovation has also provided a study nook in your combined kitchen/lounge/dining area which extends to a large private balcony with ocean views. And last but not least, there is also a double lock-up garage with extra storage room - a rarity for an apartment in this location. This 2 bedroom, 1 bathroom beach pad is located a short walk to Alex Beach and Alex Surf Club. The Unit has been newly renovated featuring a new kitchen, carpets, floor coverings, ceiling fans, security screens, blinds, bathroom and fresh paint. This little beauty is an absolute must to inspect. Also featuring a single lock up garage and communal laundry. You will certainly be impressed by this absolutely stunning waterfront property, located just a stones throw from the new University Hospital. The home comes fully furnished, and is located at the end of a quiet cul-de-sac. You will delight in entertaining from your modern kitchen out to the expansive and spacious entertaining area that flows out to the sparkling in-ground pool, which features an amazing light show through the water fountain at night. There are 4 very spacious bedrooms, the separate main bedroom has a huge walk-in robe and ensuite while the other 3 bedrooms at the other end of the house share a large main bathroom and all have built in robes. It has two separate living areas that open on to two private and separate outdoor entertaining areas. Inspect today, you will not be disappointed! You will love living in this location, on the beachfront just meters from the Surf Club and the patrolled beach, and close to Kawana Shopping World. This fantastic and absolutely immaculate two bedroom, two bathroom, two balcony, apartment has recently had fresh paint, new carpets and is located in a tropical setting of 2.5 acres with three in ground pools. White goods included, as inspected. - Air conditioned, freshly painted and new carpets. - Peaceful tranquil setting with balcony overlooking beach & pool. - Spacious living, open plan kitchen with ocean views. - Walk to local shopping centre, cafes and restaurants. Located within a short walk to Central Buderim, and all the delights this stunning town has to offer. This spacious three bedroom low set brick built home boasts 3 generous sized bedrooms, open plan living accommodation, kitchen with stove and opening onto the tiled dining area, separate laundry, single lock up garage and a generous yard.